Cinematic in scope and depth, the majestic Dawn Treader is Chronotope Project’s first full length release on the Spotted Peccary label. Jeffrey Ericson Allen is the sole creative force behind the music, and he skillfully balances the compositions between mystical, ambient dreamscapes and organic, emotional melodic statements. The soundscapes – drawn from a variety of sources spanning ambient electronic, Western classical, and traditional world music – are textural, compelling, evocative, and meaningful. Characterizing Dawn Treader as “contemporary progressive ambient music” (a description included in the accompanying press release) isn't off-base, but it would be perhaps more accurate to describe it as a collection of instrumental songs. Jeffrey Ericson Allen, the Oregonian composer and cellist who operates under the Chronotope Project moniker, does more than fashion deeply textured ambient-electronic environments on this hour-long recording; what he does is create compositions of luscious sonic design and melodic sophistication. The album's seven pieces tell their unique stories by way of arrangements that enrich the customary genre-related sounds of digital and analog synthesizers with Haken Continuum Fingerboard (imagine a touch-sensitive fingerboard that allows for fluid, Theremin-like effects), cello, Irish whistle, recorder, koto, hand percussion, and Tibetan and quartz crystal singing bowls. Though Dawn Treader is Allen's first Chronotope Project full-length on the Spotted Peccary label, it isn't his debut release under the name as other full-lengths and EPs have appeared since 2012 as self-releases and on Relaxed Machinery and Udana Music. All of that previous production work has culminated in a recording of exceptional quality, a collection whose individual settings transport the listener into realms of contrasting stylistic character. Narnia fans will recognize immediately the titular reference to C. S. Lewis's The Voyage of the Dawn Treader, and consistent with the book's story-line, Allen's album unfolds in accordance with a journey narrative, too. A mystical quality permeates the recording's content and that too is appropriate, given the literary and mythological allusions of the track titles. Synthetic pulsings give “Dawn Treader” intimations of a journey being undertaken, especially when they seem to emerge as if from afar and gradually come closer. Allen's methodical layering of material is handled expertly, with minimal guitar-like accents punctuating the swelling textural mass and the whole growing ever more insistent as the eight-minute piece develops. Taking inspiration from a line by Japanese haiku poet Matsuo Basho, “The Scent of Evening Flowers” places the listener within a verdant garden where waters fall and distant flutes resound amidst the stillness and serenity. The literary reference continues into “Basho's Journey,” where a recorder's plaintive song is heard alongside the pluck of the Japanese koto and the poet's sojourn is evoked by the plodding tempo and the music's ponderous tone. Smothered in ghostly vapours, “Omphalos” is earmarked by the haunting ping of Tibetan singing bowls, while “Canticle for the Stars” murmurs, its gentle electronic burble warmed by a wordless choir's soft exhalations. Ending the album on an expressively robust note, “She Who Hears the Cries of the World” derives its rhythmic insistence from a Balinese gamelan-styled base of mallet percussion and bells. Eschewing grandiosity and excess for tasteful understatement, Allen's recording exudes something of the feel of an ambient-electronic and World Music fusion but does so in seamless manner. Regardless, Dawn Treader is superior ambient-electronic music-making that elevates craft to a high level of artistry, whatever the genre designations in play. Electronic music, world influences, and C.S. Lewis’ Narnia stories come together on Dawn Treader, the latest offering from Chronotope Project and his first as a member of the Spotted Peccary lineup. I mention that last bit as SP has built a reputation around offering big, cinematic music with a strong emotional undercurrent, and Chronotope Project’s sound and style are a perfect fit. (In the title track, which kicks off the album, I pick up a bit of phrasing that instantly triggers thoughts of Helpling and Jenkins.) The worlds we are shown here are diverse and engaging, most working off a very effective framework of repeated motifs. “Canticle for the Stars” is a great example, utilizing the sharp repetition of sequencer to lay down the pattern, then washing over it with classic spacemusic pads. A pleasantly familiar piece. “Basho’s Journey” uses the crisp snap of koto for both its framework and its flavor. Initially I felt that said flavor may have been laid on a bit thickly, but since I always find myself lost in the track and thinking thoughts of 80s New Age artist Azuma, I’ve come to let it go. Quiet flute courses through the track as well, like an expressive, slowly moving dancer. Allen goes fantastically deep on “Ocean of Subtle Flames,” with more rich flute lines for an organic edge, whisper-soft drones forming the background, and a very quietly burbling sequencer line. Another familiar piece that, when I’m not totally adrift in it, leaves me trying to figure out what it reminds me of. But, again, better to just let go and go with it. 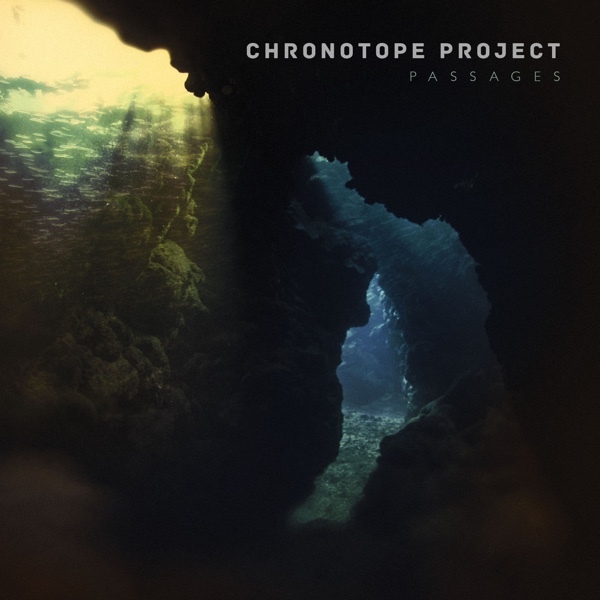 Dawn Treader is yet another superb step forward in the evolution of Chronotope Project, and another great addition to the Spotted Peccary roster. Allen is an outstanding composer. His work rewards a good deep listen with shows of thoughtful structure and complexity. A flavorful and thoroughly enjoyable set of pieces, and a must-hear. This is the first I’ve heard of Jeffrey Ericson Allen, whose Chronotope Project has been active for several years releasing evocative and often cinematic electronic music. “Dawn Treader”, inspired by the C.S. Lewis story, is an intensely visual and sometimes playful listening experience, with plenty of twists and turns. Opening with the percolating sequencer sounds of “Dawn Treader”, the music gives way to the languid and introspective track, “The Scent Of Evening Flowers”, which gradually works itself into a bleepy outer-space soundtrack. “Basho’s Journey” brings an Asian influence to the table, no doubt due to the prominent use of the traditionally-tuned 13-string Japanese koto. “Ocean Of Subtle Flames” is a spiritual journey, complete with light rhythms and flutes punctuating the otherwise fleeting ambient textures. “Canticle For The Stars” is a kind of space music/classical hybrid, with blippy synth sequences alongside electronic strings. “She Who Hears The Cries Of The World” brings it all together into a wonderful melange of exotic textures, fleeting melodies, and evocative world music-meets-ambient vibes. It’s a celebration of all things musical, artful, and worldly. According the composer, "Dawn Treader" (which is inspired by C.S. Lewis' eponymous sailing ship from "The Voyage of the Dawn Treader") is first and foremost an album about journeys, more particular the inner journey to greater integration and wholeness as a human being. Life sends the vessel, whether we ask for it or not; it is up to us how we navigate the great sea of the Unconscious. As such, the seven-track sonic voyage provided is in many ways a reflection and a response to a very personal journey of self-transformation, relating to some essential archetypal islands visited on this journey or helpful aspects of the self we may engage to move deeper into our voyage. Occasionally, serene and immersive currents surface during the album’s carefully rendered, subtle and expansive music which never fails to fascinate. The finale features the track "She Who Hears the Cries of the World", originally a commissioned piece for solo Balinese dance which evolves quite complex and with a great sense of release and wonder.